9-Piece Set includes: 1 Counter Height Table and 8 Counter-Height Chairs. 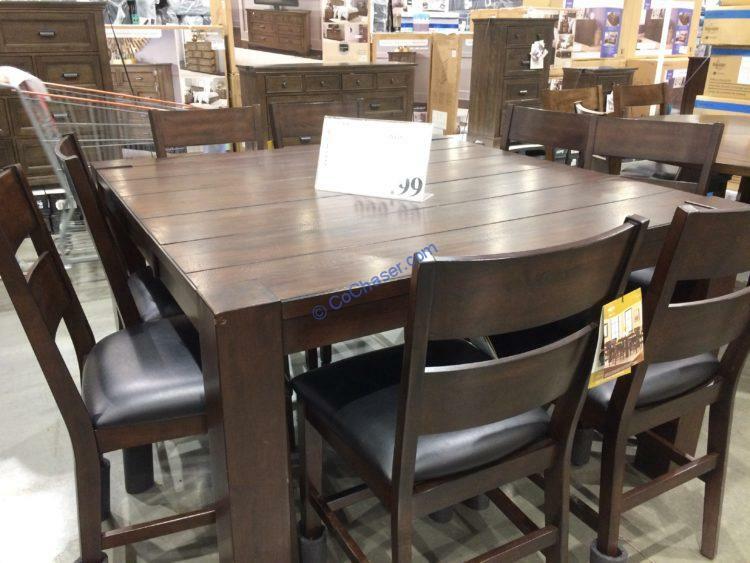 Built with a uniquely tall table with eight counter-height chairs to match, this set features rubberwood solids and durable construction that ensure the set can host family and guests for years to come. The table features a self-storing, folding leaf, expanding the tabletop from 44″ to 60″. Each chair boasts a ladder-back and cushy foam seat with Black bonded leather upholstery; the ultimate in comfort.